As a high school senior, Erin Lakenen was lukewarm about college but was sure about one thing: She didn’t want student debt. Because she was undecided about a career, she viewed student loans as a risk — debt without the guarantee of a job. Instead, Lakenen became an electrical apprentice. Her father, a former ironworker and now president of the local steelworkers union, suggested the apprenticeship. She gets paid competitive wages to work full-time as an electrician, but she didn’t have any electrical skills going in. As total U.S. student debt approaches $1.5 trillion, low-cost higher education options like apprenticeships are compelling for students who want to train for a career without taking out loans. In addition to apprenticeships, students can save money by taking advantage of college financial aid, working full-time and choosing affordable schools. Here’s how three students found low-cost paths. After serving a prison sentence for drug-related charges, Frank Melo enrolled at Bunker Hill Community College in Boston. He was determined to change his life. Melo, now 21, qualified for a Pell Grant to cover tuition. Any U.S. college student with enough financial need is eligible for one, but many students miss out on funds they’d qualify for because they don’t submit the Free Application for Federal Student Aid. 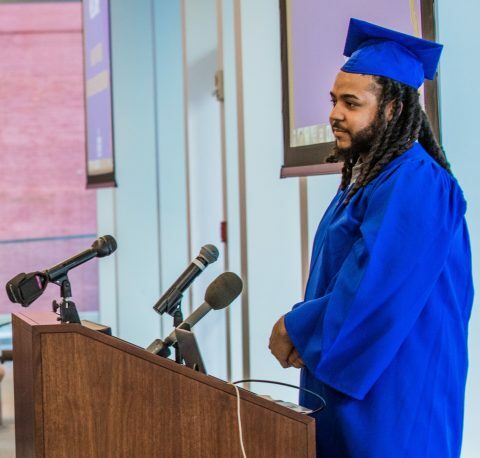 In addition to the Pell Grant, Melo receives a weekly stipend from College Bound Dorchester, a nonprofit aiming to fight poverty through education. The stipend is part of the organization’s Boston Uncornered Initiative and covers living costs. In effect, Melo is getting paid to go to college. Being able to count on that money helps Melo focus on school. “I can’t stress enough how that stipend keeps me out of trouble,” he says. Earning a bachelor’s degree in business helped Elisa Magagna land an office manager job that pays about $8 an hour more than she’d made before. 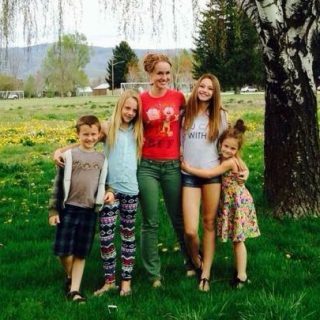 It was a much-needed raise for Magagna, who was raising four children as a single mom while in school. She attended Western Governors University, an online-only nonprofit school where annual tuition and fees for undergraduate business students are cheaper than those for in-state students at the average four-year public school in 2016-17 ($6,670 vs. $8,173). Not all online programs are affordable or reputable, though, so it’s crucial for students to practice due diligence before enrolling in one. Magagna worked full-time while in school and received Pell Grants. She also finished her four-year degree in just over three years, shaving off a year of tuition. Upon graduation, she owed just $3,000 in student loans — a small amount compared with the average debt for the class of 2016, ranging from $19,975 in Utah to $36,367 in New Hampshire, according to The Institute for College Access and Success. Lakenen, the electrical apprentice, is now 23 and more than halfway done with her apprenticeship. She’s been earning a paycheck since day one and her wages have increased with her experience. Starting out, Lakenen earned about $15 an hour. Three years in, she earns more than double that, plus has health benefits and a pension. 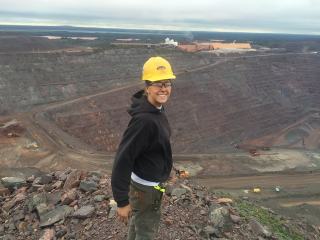 Every day, Lakenen goes to work alongside experienced electrical journeymen in mills, mines and powerhouses, and spends one day every other week learning in a classroom. When she completes 8,000 on-the-job hours and passes a state licensing exam, she’ll be an electrical journeyman. The median annual wage for U.S. electricians in May 2016 was $52,720, according to the Bureau of Labor Statistics. Apprenticeships are common in skilled trades, but there are also apprenticeship opportunities in other fields, including health care, finance, manufacturing, telecommunications and transportation. Some count for college credit. 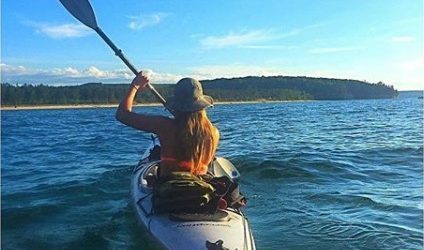 Top photo: Erin Lakenen uses time between electrician jobs to kayak, hike and travel. Photo courtesy of Erin Lakenen.